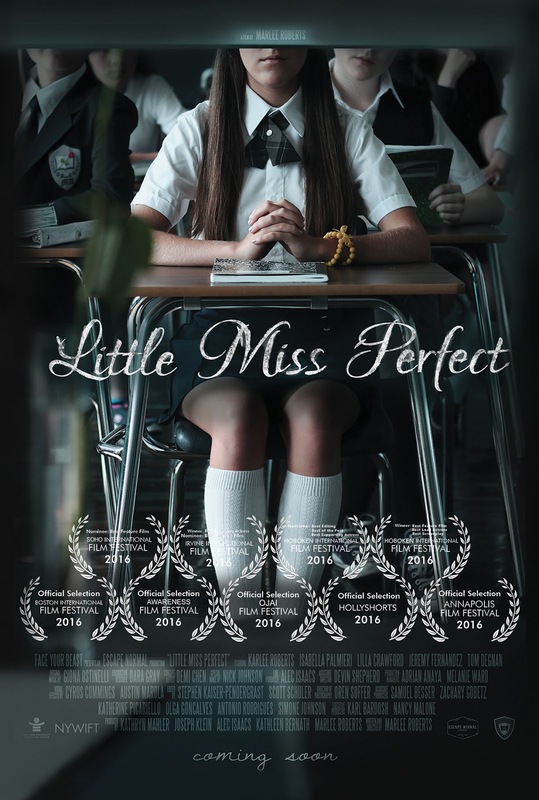 Timberline Knolls Residential Treatment Center, The Elisa Project and film director, Marlee Roberts, are hosting a free one-night-only screening of the compelling drama titled Little Miss Perfect, 6 p.m. - 9 p.m., Thursday, April 27, 2017 at the Studio Movie Grill, 11170 N. Central Expy in Dallas. The award-winning feature film chronicles the life of Belle, a 14-year-old overly-ambitious straight-A freshman. As class president, Belle seems to have it all together, but as her family troubles and daily social academic pressures grow, she seeks a way to control her chaotic world. In the film, Belle is triggered by a blog promoting anorexia and other eating disorders and she drops to an unhealthy weight. Belle utilizes weight measurement as a means to regain a sense of self control. "Little Miss Perfect tells the story of a girl who struggles to control her life by controlling her weight. This need for 'control', much like our protagonist Belle, had led me to research the psychological and behavioral effects of those who cope with a loss of control, particularly in anorexia," said Roberts. "I wanted to explore the disparity between our physical and psychological selves and question what that says about us as individuals and as a society." Little Miss Perfect began first as an adaptation of the traditional French fairy tale 'La Belle et la Bete,' popularly known in English as "Beauty and the Beast." The adaptation borrowed Belle's studious perfectionist nature and combined it with the Beast's shame and temper. Similar to that of the original story, Belle was given a father who sets off on a work venture, a mother who is out of the picture and a confident bordering-on-arrogant suitor. However, as work was done on the screenplay, it transformed into its own story and themes from the classic fairy tale have become only symbols paying homage to the original tale. While not completely autobiographical, Roberts wrote the character of Belle from personal experience in high school struggling with similar themes many young girls are facing: social exclusion, academic pressure, body image, and family disconnection. The event, open to the public, offers complimentary hors d'oeuvres and refreshments. Kirsten Haglund, Miss America 2008, national eating disorders awareness advocate and community relations specialist for Timberline Knolls, will emcee the event. Following the screening, Haglund will lead an interactive panel discussion with the film's director and Cindy Cole, LMFT, LPC, Director of Primary and Family Therapy at Timberline Knolls. Also on the panel will be Andy McGarrahan, PhD, Clinical Psychologist, Children's Medical Center Dallas.